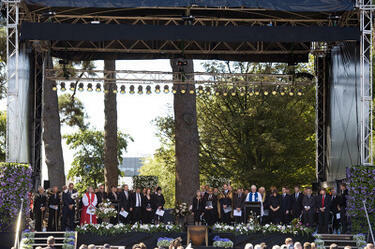 The stage party standing for two minutes in silence at the Christchurch Earthquake Memorial Service in Hagley Park. 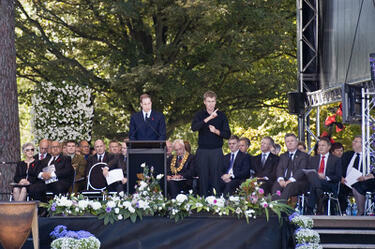 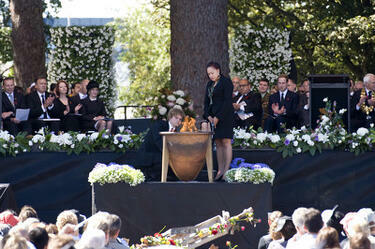 Prince William speaking at the Christchurch Earthquake Memorial Service in Hagley Park. 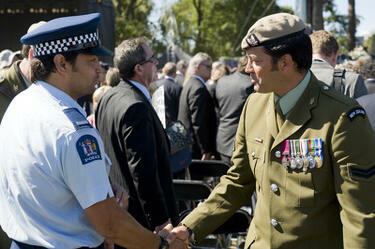 CPL Willie Apiata shaking the hand of a Police Officer at the Christchurch Earthquake Memorial Service in Hagley Park. 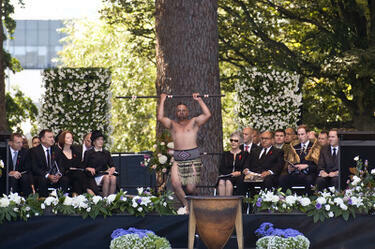 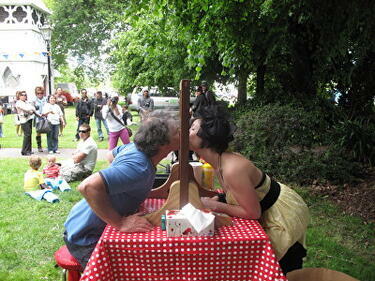 A man performing a haka at the Christchurch Earthquake Memorial Service in Hagley Park. 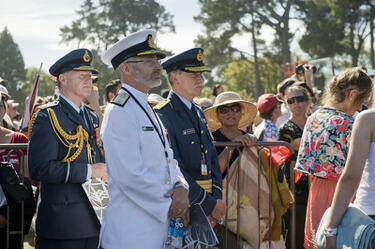 AIRCDRE Howse, CDRE Wayne Burroughs and AVM Peter Stockwell at the Christchurch Earthquake Memorial Service in Hagley Park. 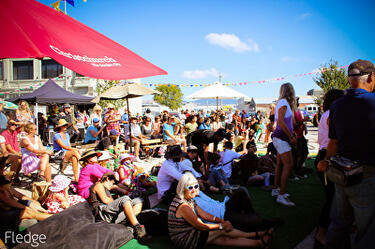 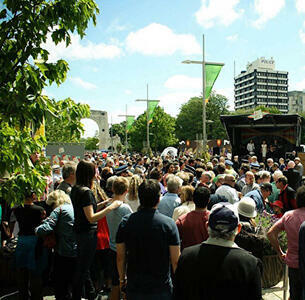 A photograph of a crowd watching a performance on the Art Beat stage. 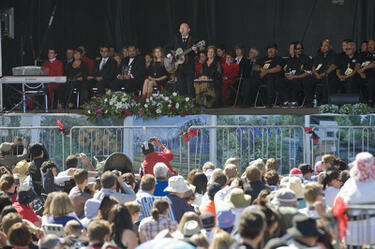 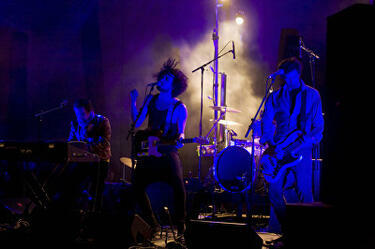 A photograph of the audience at the Songs For Christchurch launch. 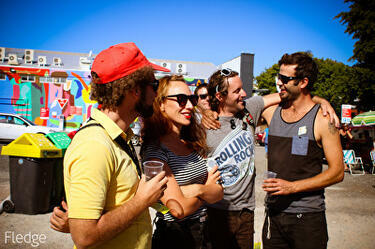 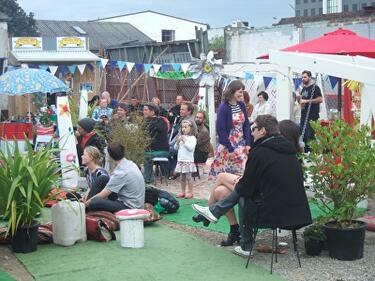 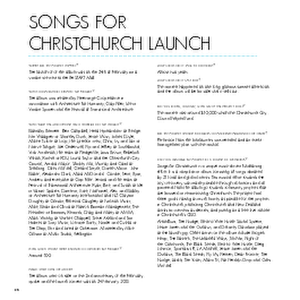 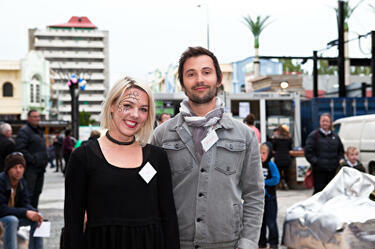 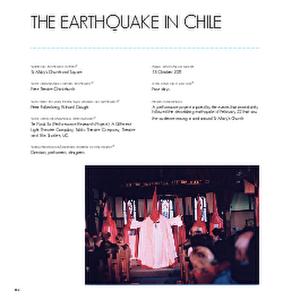 A photograph of a group of people at the Songs For Christchurch launch.